Children LOVE this collection of Healthy Halloween treats and non-candy Halloween treat alternatives for Trick or Treaters, kids at school, and Halloween parties! Below you will find Halloween handout ideas and Halloween candy alternatives to your typical sugar-filled Halloween treats. Don’t get me wrong… I love a tasty treat as much as anyone else. What I don’t love are treats filled with high fructose corn syrup and artificial ingredients. Especially in excess on occasions like Halloween. This year my husband and I have decided to lessen the impact by choosing to provide healthier alternatives for our trick or treaters–and ourselves. Come on… you know you dig into the candy bowl too! These treats are a great alternative to Halloween candy that contains too much sugar or high fructose corn syrup, but they are not all sugar-free. Many of these Halloween treats contain a healthier form of sugar than high fructose corn syrup while others don’t contain any sugar at all. Some of these Halloween treat ideas aren’t even food. Instead, they are a fun alternative to your typical sugar-filled Halloween treat! Provide healthy Halloween treats for guests at a Halloween party, and hand them out to trick or treaters on Halloween night! YumEarth – This candy tastes much better than mass produced chemical candy because they use real fruit extracts and planet friendly organic ingredients. YumEarth treats are made with all-natural ingredients, no artificial colors or artificial dyes, no gluten, no peanuts, and no tree-nuts, just award-winning taste. Try their individually wrapped organic fruit snacks , organic sour beans, organic hard candy , organic Vitamin C lollipops and Halloween lollipops! Annie’s Organic Bunny Fruit Snacks – Organic bunny fruit snacks are made with real fruit juice. They do not contain any artificial flavors, synthetic colors, preservatives, pesticides, gluten or nuts. Bitsy’s Brain Food Spooky Snacks – Delicious Smart Cookies in 16 individual treat packs are a fun, wholesome, healthy Halloween choice for trick or treaters everywhere. Full Moon Brownie Z Bars -Full moon brownie bars are a nutritious option for trick-or-treats and Halloween parties; a wholesome alternative to all that scary Halloween candy. Zbars are an organic baked whole grain snack made with a nutritious blend of carbohydrates, fiber, protein, and fat to help maintain kids’ energy. Goldfish Cracker Halloween Snack Packs– These cheddar goldfish crackers are a healthier choice for trick or treaters than candy. UTZ Halloween Bats & Pumpkins Pretzel Treats– These are great for both Halloween parties and trick or treaters. 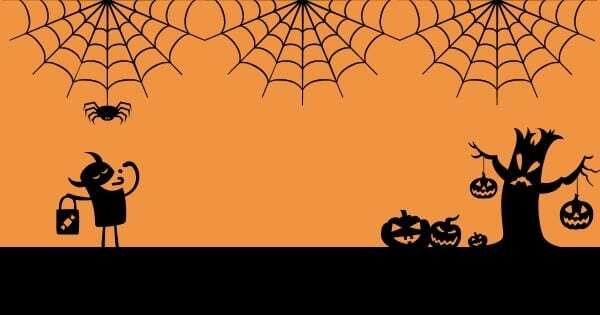 Halloween Temporary Tattoos – Temporary tattoos for Halloween make a wonderful alternative to candy that kids love to put on at school parties and find in their trick or treat bags. Halloween Stickers– This colorful collection of circular stickers features a variety of Halloween themes. Each unit consists of five rolls of 100 stickers for a total of 500 stickers per unit. Glow in the Dark Slime – Slime is a super fun alternative to typical Halloween treats and comes in four neon colors – yellow, red, green, and blue! Halloween Bag of Play-Doh– Hand out cans of Play-doh modeling compound instead of sugary treats with the treat without the sweet Halloween bag. Glow in the Dark Bouncing Balls– A fun candy alternative for kids of all ages. Glow Light Stick Bracelets– These are a fantastic alternative to hand out on Halloween night. Kids love em’ and they help them stay safe. Win/win! Flashing Bumpy Rings– Provide another safety light for your trick or treaters or students this year with this fun treat without the sweet for Halloween handouts. 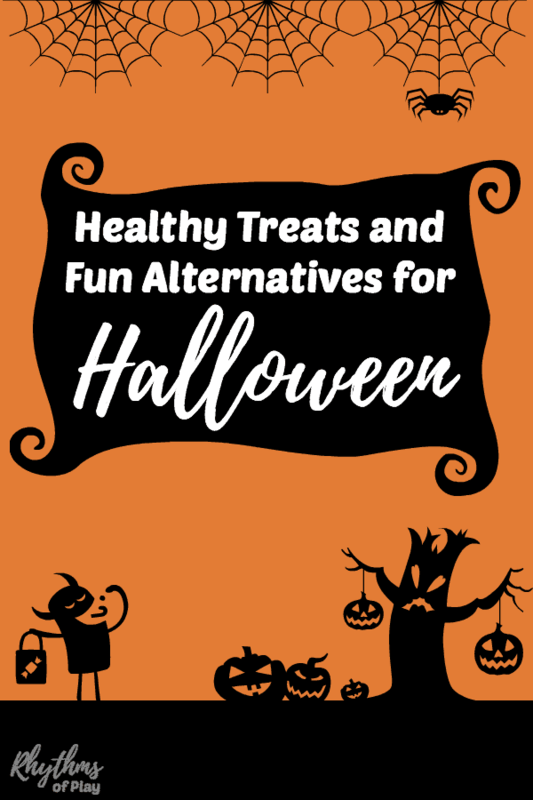 Provide healthy any of these Halloween handout ideas for your trick or treaters, at school, and Halloween parties with this awesome list of healthy treats and fun alternatives for Halloween. Children love this collection of healthy Halloween treats just as much, if not more than other not so healthy Halloween handout ideas. If you are looking for fun ways to keep the kids calm on Halloween night when all the ghost and goblins come out to play, try a glowing jack o’ lantern sensory bottle! 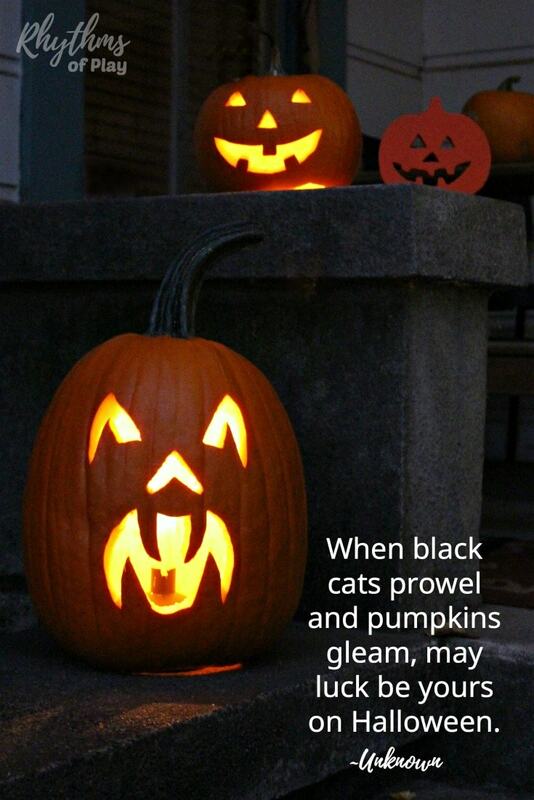 You may also like this collection of Halloween art projects that children LOVE! Don’t forget to have a look at our Fall Bucket List for the Best Autumn EVER! I’m so glad to hear that. Kids love them! That’s awesome that they have not forgotten. Love that! Thanks for taking a moment to stop by 😉 I always appreciate hearing from new readers. I’m glad that you like what you see so far, come on back anytime and stay a while. It’s nice to know my site loads quickly using the 3G network–awesome!